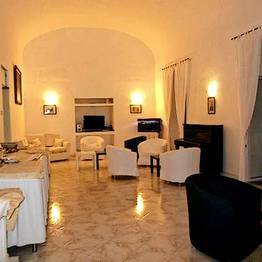 Esperia Capri: 3 reasons to book here | Capri Booking. 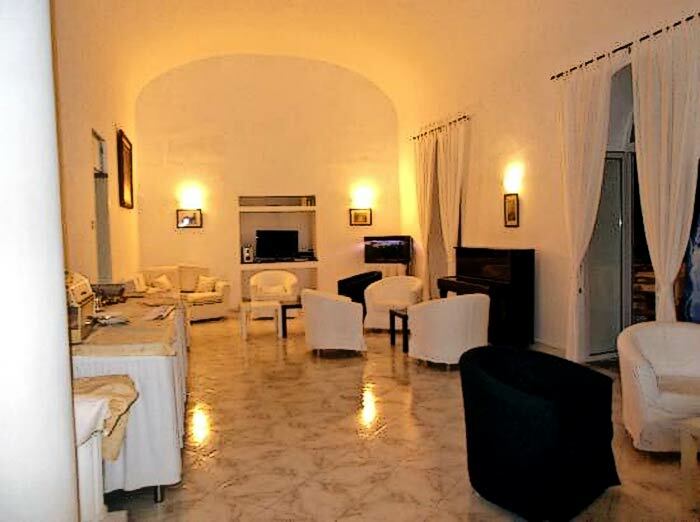 Trying to find a conveniently priced, centrally located hotel on the island of Capri? 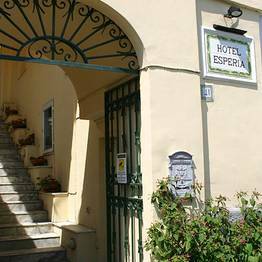 The historic 3 star Hotel Esperia, within steps of the famous Piazzetta, is just what you're looking for. 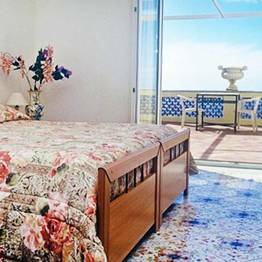 Ever since 1825, when the hotel first opened, Capri's Esperia has been offering its own special brand of hospitality to visitors eager to explore this most beautiful of Italian islands. 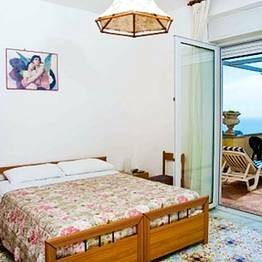 Benedetto Croce, Enrico Caruso, Filippo Tommaso Marinetti and Augusto Kopisch, the German writer who 'discovered' the Grotta Azzurra, are just a few of the illustrious personages to have graced the hotel's elegant rooms and splendid sea view terrace with their presence. 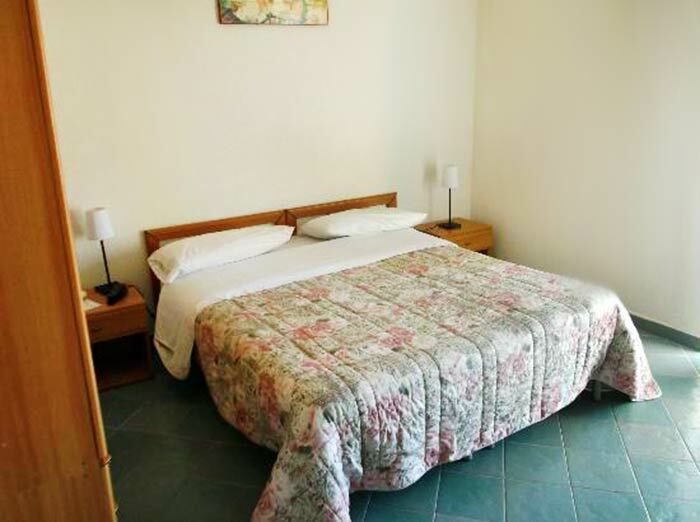 Constantly upgraded over the years, bedrooms are equipped with all mod cons, from air conditioning to free Wi-Fi. 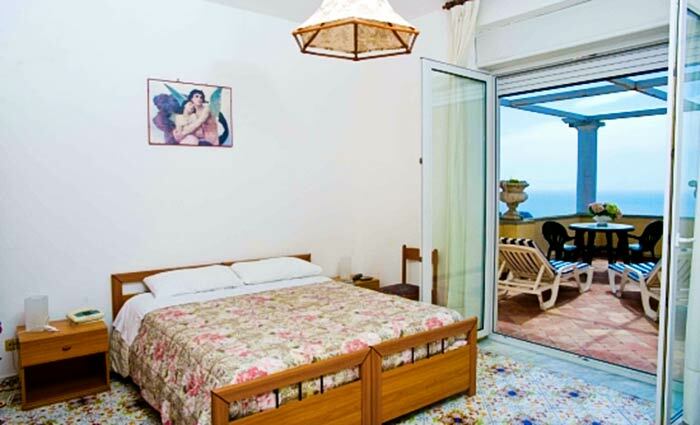 Bright, and filled with light, all rooms enjoy marvelous views of the Mediterranean Sea. The best rooms in the house have their own private balcony. 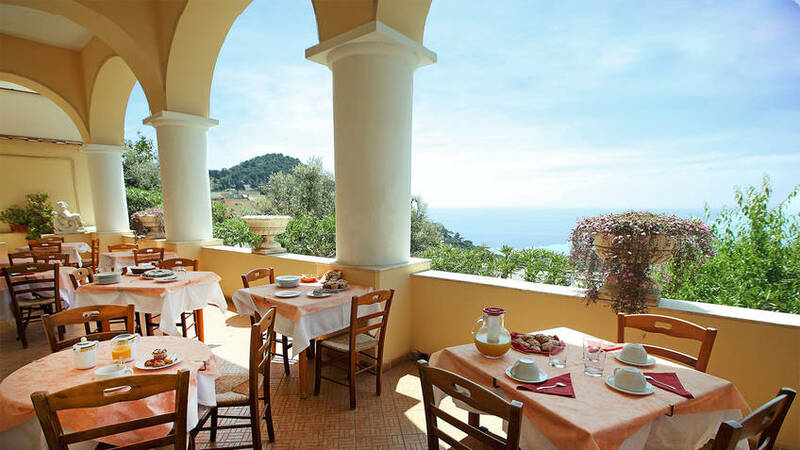 Breakfast on the sea view terrace: a long-standing ritual keenly observed by guests staying at Hotel Esperia. Planning the day's activities is easy, thanks to the hotel's central position and the assistance of Esperia's talented concierge, capable of organizing scooter rental, a boat trip, a walking tour, massage, or dinner reservation at any of the island's superb restaurants at a click of the fingers. 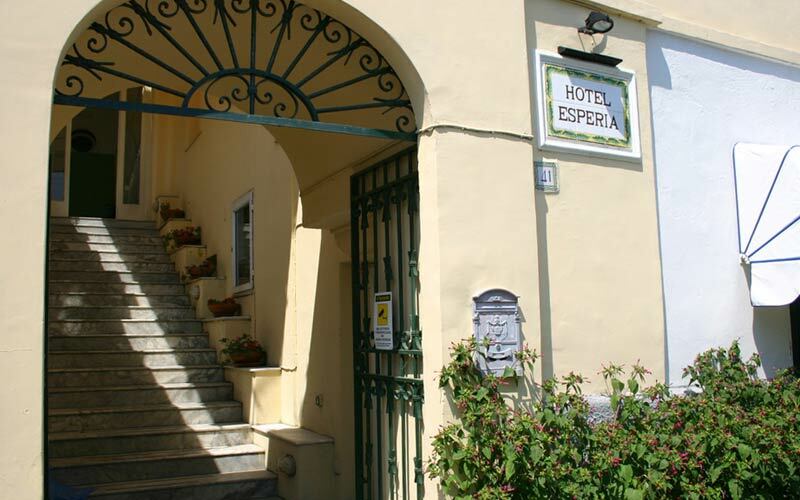 Unlike the majority of hotels on the island, Esperia is open all year round, making it the ideal choice if you fancy an early spring break, late autumn getaway or even spending the Christmas holidays on the island! 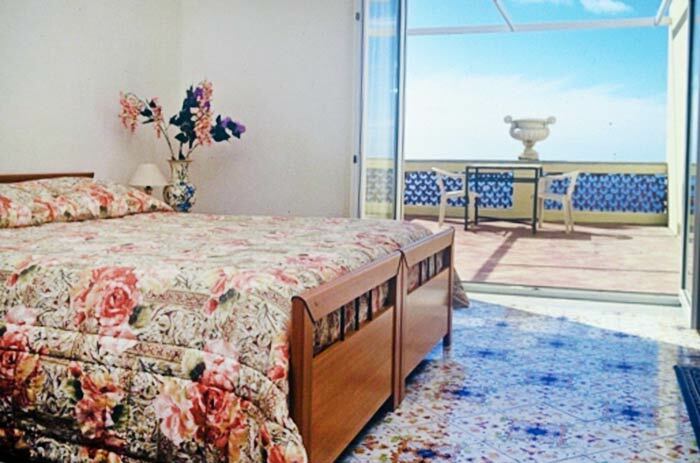 "With bit more attention to housekeeping and the general maintenance of the building it would have been perfect, given the location and fabulous views. " "Given the beauty of the hotel building, they really should try to keep the entrance and public areas cleaner." "Beautiful room, the staff were lovely and helpful. Close to transport but away from main touristy area. Highly recommend!!" "The rooms are indeed crap. The staff however was very helpful going well beyond the expected level. Location is perfect." 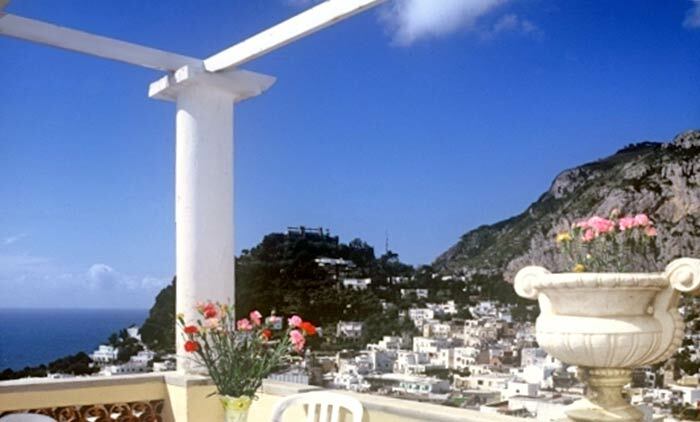 The heart of Capri's glamorous social whirl is the Piazzetta. 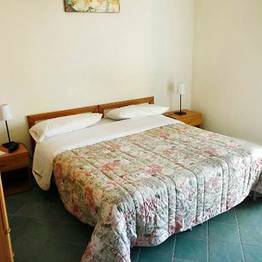 The legendary square is just a five minute walk away from Hotel Esperia, as are the Charterhouse of San Giacomo, the Gardens of Augustus, and Via Krupp. Capri's main bus terminal, taxi stand and funicular railway station, from where you can board the train to the port and Marina Grande, are all in the immediate vicinity. 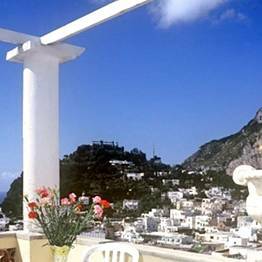 Book Esperia on Capri.com now with no additional booking fees.